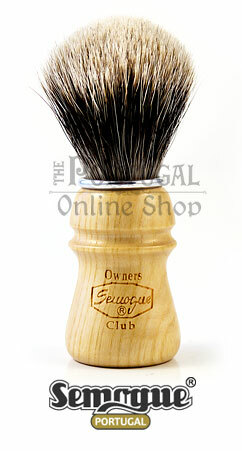 This brush is the first Semogue that is stuffed with the very exclusive 2 band Finest badger hair. 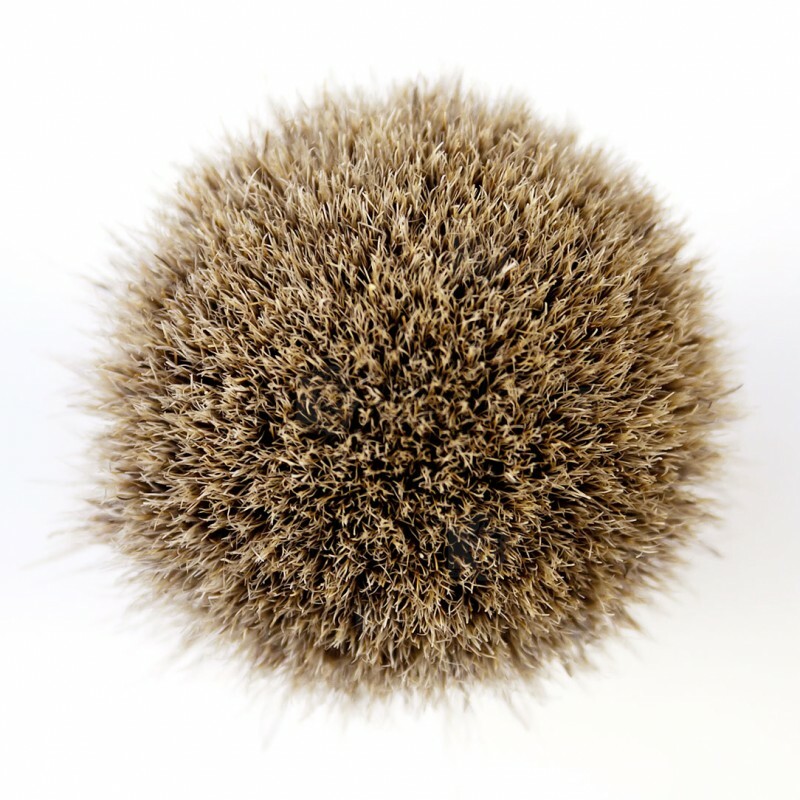 This rare hair comes from the North of China from the badger species "Meles Meles" also known as European Badger or Eurasian Badger. 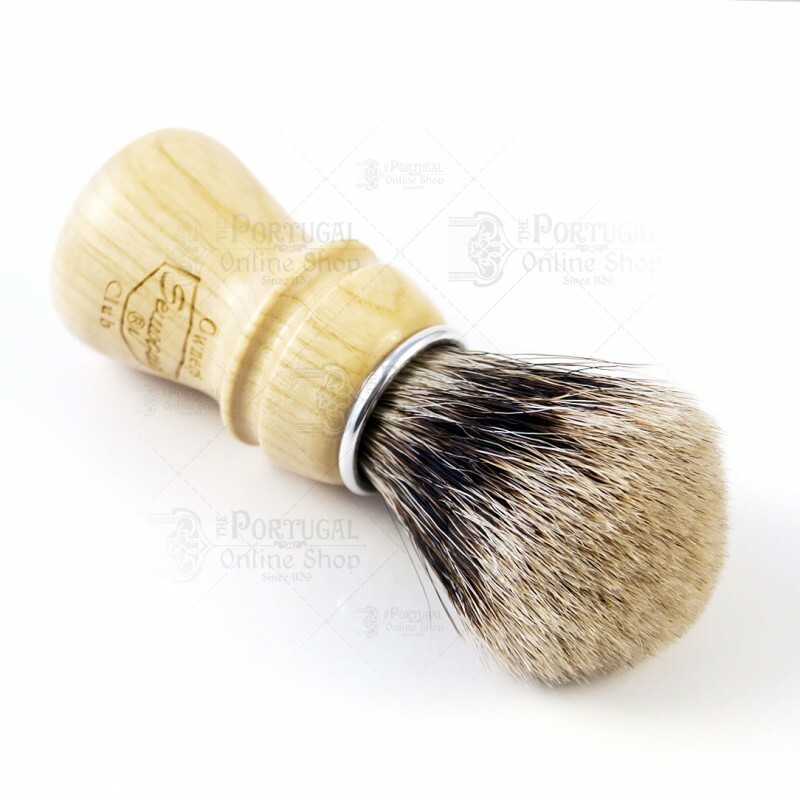 It provides great backbone and very soft white tips which makes this brush great for either soaps or creams. After the great success of the 2010 Limited Edition brush, this Semogue 2 band sets another milestone that Semogue achieves in the exquisite badger brush market. 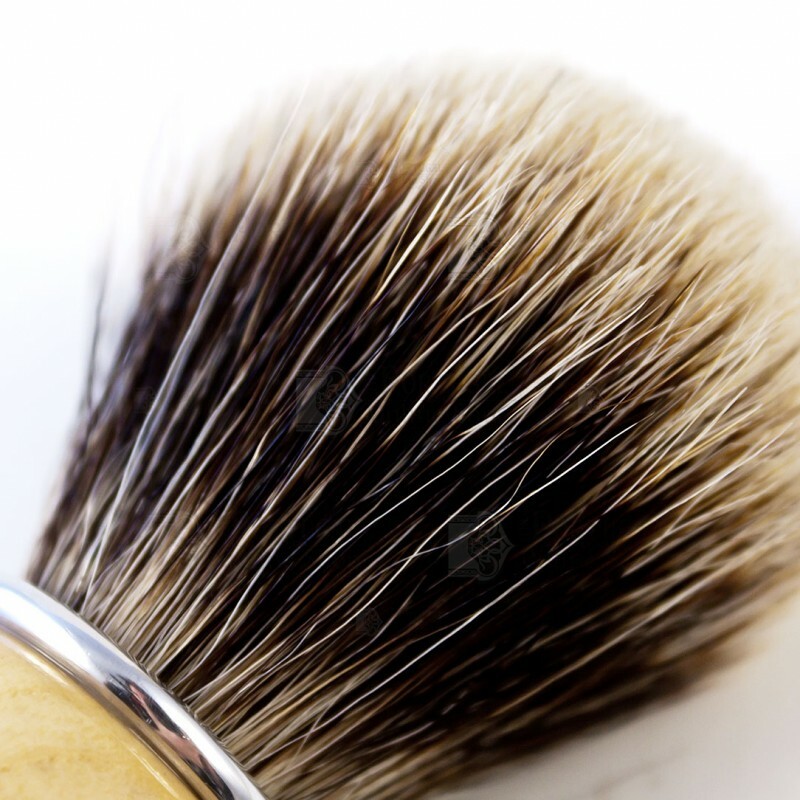 This fine brush is totally made by hand from start to finish. The handle is hand turned by a skilled woodsman and later is hand sanded one by one. Then, the knot is made by the master craftsman using the traditional methods passed by past generations to provide the most wonderful brush. The knot has a 24 mm diameter and 53 mm height. The handle is 57 mm tall and has 37 mm in its widest point. 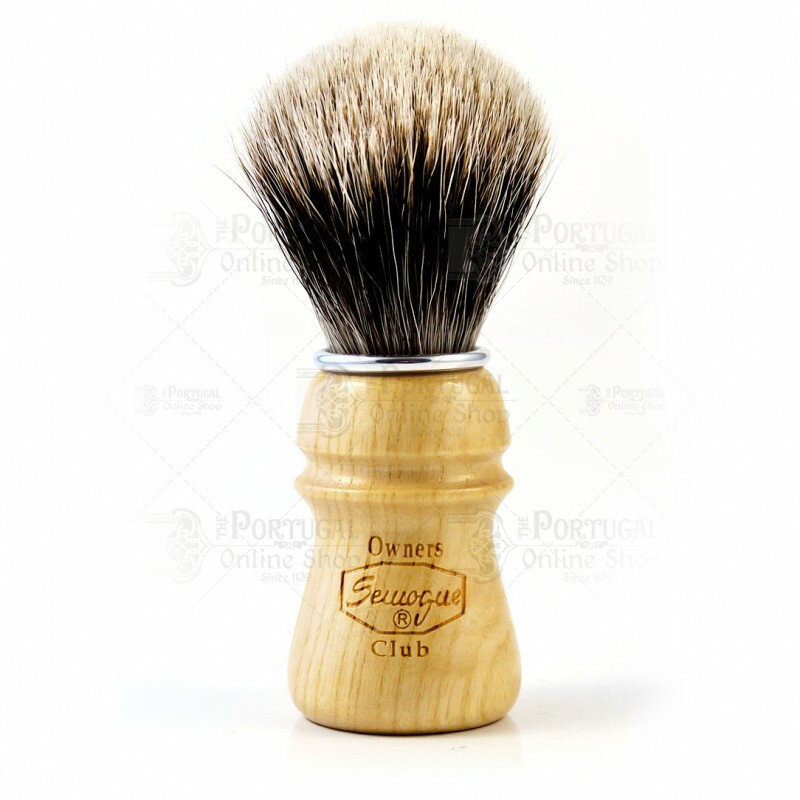 The beautiful wooden handle is made of ash wood.